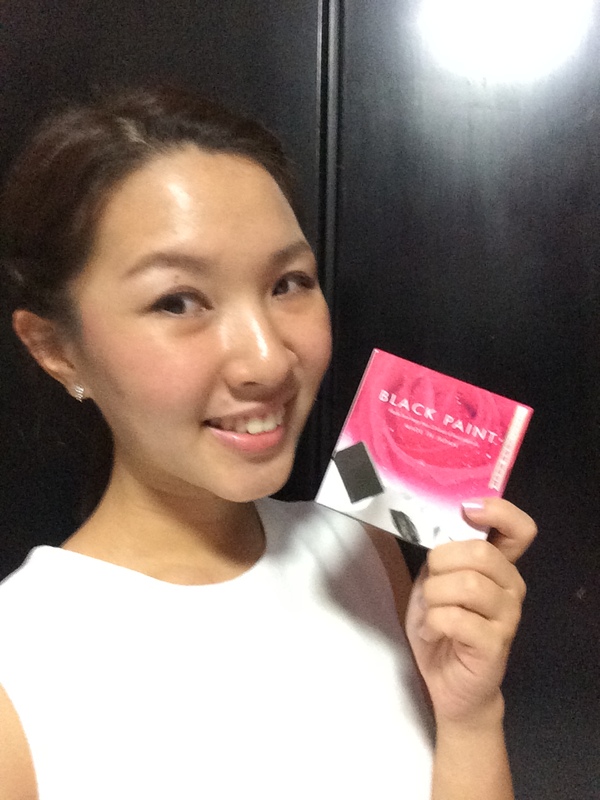 Their star product, Black paint soap bar is a gentle pore cleansing hand-made face soap with Kishu Bichotan Charcoal (White Charcoal) cleans pores and removes oil and dirt thoroughly but gently without stripping away skin’s essential moisture, leaving skin fresh and silky smooth. It contains 23 types of plant oils, amino acids from silk powder and vitamins in honey and brown sugar. One of the main factors of why BLACK PAINT is black in color is because of its White Charcoal component. White Charcoal has been widely used in Japan since thousands of years ago for their teamaking (Chado) ceremony. White charcoal is made from holm oak, a very hard wood used in kilns in the southern Kishu area in Japan. This charcoal, called Kishu Bichotan, takes about 10 – 40 years for the suitablely grown branches to be selected for its making. Kishu Bicotan Charcoal is considered to be the best grade because it is hard and yields a long burn. Due to the hardness of the word, the charcoal made from such wood produces a high pitch ‘tingling’ sound. Bichotan is also called White Charcoal because it is covered with ash during final processing, leaving whitish ash powder on its surface. Known as the best quality charcoal for purifying water and air, the variety of benefits of Bichotan charcoal can be found in a number of everyday uses. Whether it is used to absorb chemicals in tap water, enhance blood circulation in a hot bath, stimulate healthy soil in the garden, or deflect negative ions in your home, the environmental and chemical-free charcoal is the natural way to boost overall wellness. Because I previously read blogger Karen of Renzze’s review, I picked up a tip from her to chop up the soap into smaller bars which is easier to apply on the face and prolongs the longevity of the soap. What I truly love about this soap is how natural and zen it makes me feel, during the cleansing process and after it. This star product has won the Grand Gold Medal of Monde Selection Award Winner for 5 consecutive years since 2009, under the Cosmetics and Toiletry category in Japan. Award winning product! A 100% natural facial sponge made from vegetable fiber, Kishu Binchotan charcoal (White charcoal) and various minerals that enhance absorptive ability, helps removing excess oil and dead skin cells in the most delicate manner. The KONJAC SPONGE is the perfect tool for cleansing your face with BLACK PAINT soap, but can also be used without a cleanser. It’s gentle enough for sensitive skin and is ideal for those with oily skin and acne. Its 100% natural vegetable fiber delicately pulls blockages from pores, while the Kishu Bichotan charcoal absorbs dirt and excess oil. You may see waste and dead skin cells coming off as flakes, a gentle exfoliation which promotes new cell growth. Skin is left with a smooth and clear finish. Black Paint’s Best Water Toner & Oil Water Lotion. A dual-layer emulsion that regenerates, protects, soothes, and soften the skin keeping skin soft, supple, radiant and young-looking, while a delicious rose scent uplifts the spirit. * The ingredients listed in GREEN are organic, moisture retention ingredients. Two layers, one complete formula for regenerating and protecting your skin! Because we refuse to put any synthetic emulsifiers into our products (and onto your face), the ingredients in OIL WATER separate as they sit in the bottle. To mix them up again, just shake the bottle before using. Ideal for sensitive and aging skin, OIL WATER helps tighten and firm up its texture. The “magic” ingredient is rose essential oil, noted for its healing and rejuvenating effects on the skin including the reduction of fine lines, wrinkles, redness and uneven color. We maximize its effectiveness with a blend of organic plant oils for hydrating protection against dry air and environmental pollution. I enjoy using this product! Although it is a quite a hassle to shake it up before applying every time I pump it out, (2-3 pumps for my whole face) this rose scented oil water lotion is a delight to the regime as it’s completely natural, hydrating for my combination skin and it smells awesome. I love the smell of roses, so the sweet rose scent is really a huge bonus to the product. A water-based moisturizing cream that diminishes visible pores, protects your skin from dryness and maintains moisture all day long. By filling the skin with moisture, it builds resistance from outdoor environments as well as creates a smoother and more refined skin texture. The star ingredient in WATER CREAM is Moroccan argan oil, a renowned natural anti-aging product worn by women since ancient times. This wonder-working oil, extracted from the kernels of the argan tree, is a unique blend of oils, minerals and fatty acids. It is exceptionally rich in vitamins, particularly vitamin E.
WATER CREAM, which also has argan oil and 7 more organic plant oils, makes use of these ingredients for additional protection and moisture, restoring the skin’s own youthful capability to resist drying agents from both within and without. Use it as a make-up base during the day and a moisturizing cream at night. I think it would be more accurate to name it Water Cream with a tinge of Moroccan Argan oil. I don’t like the oil feel on my skin, which I would liken it to the lip balm(albeit gel and not solid form) feel. After using it for 3 weeks, I can attest that the oil did not break me out and in fact I am impressed by the cream. To name it Water Cream isn’t accurate or doing it justice, but I guess some customers might be turned off with the idea of applying oil on your face. But as you can tell and have read from Black Paint’s super educational facts and my personal review above, applying natural oils on your face isn’t as bad as it seems. It is recommended to use the Black Paint skincare range solely (no mixing) for 28 days to maximize results, however it is ok to use the soap and sponge with other skincare brands if preferred. Visit their online site here and their Facebook page for updates. All italicised information and pictorial posters credits to Black Paint Singapore, courtesy of their site. Thank you Steph and Black Paint for the products.